Today, a sharp distinction is made between glass and rock, but in the early seventeenth century, differences in the two materials were not so well defined. One was the product of nature and the other of art, but after that the lines begin to blur. Philosophers debated weather glass should be classified as artificial stone, and why not? It is a material that was actually made from crushed up rocks (quartz and calcined limestone) with the addition of plant salts. In a very accurate sense, it is a form of artificial rock. It is often said, and it may well seem to be true, that art cannot match nature. However, experience in many things shows, and this is particularly true of colors in glass, that art not only challenges and matches nature, but by far exceeds and surpasses it. Why, if you did not see it for yourself, you would find it hard to believe the beauty and great variety of interplay seen in these particular chalcedonies. Another entire section of the book is devoted to artificial gemstones: rubies, sapphires, emeralds, topaz, chrysolite; he even uses crushed natural gems to color his glass. He describes a "sky blue even more beautiful, from the garnets of Bohemia." [I]t [glass] is one of the effects and real fruits of the art of fire, because every product found in the interior of the earth is either stone, metal or one of the semi-minerals. Glass is seen to resemble all of them, although in all respects it depends on art. 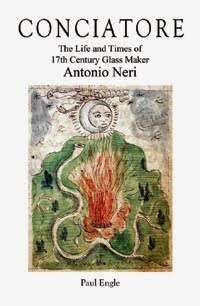 This is an observation that Neri echoes almost verbatim in the introduction of his own book, and in this light, it is not so difficult to see what connects glassmaking to alchemy. Neri was in the business of learning nature's secrets, and then using them to create new materials that were even better than the originals. These are aims quite familiar to any modern materials engineer. Neri and his contemporaries were successful up to a point. They were able to create artificial gems and other items that were impressive in color and clarity, yet they lacked some key properties of their natural counterparts, most notably hardness. 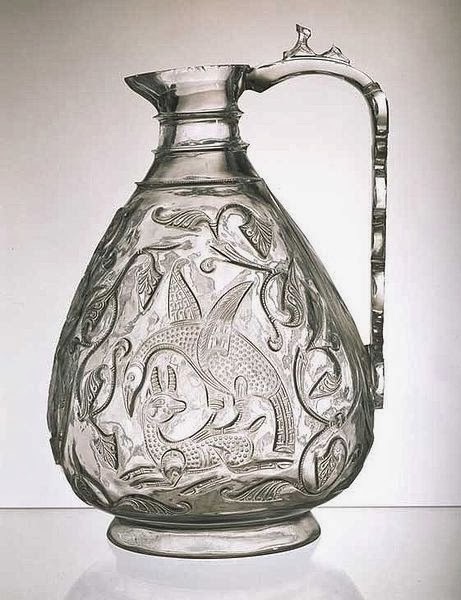 Based on Neri's earliest known writing Treasure of the World, started in 1598, he was already familiar with mining practices before his glassmaking activities started and over a decade before he would write the book. He devotes this early manuscript to "all of alchemy, its furnaces, instruments and the mining of metals." Around 1600 he started work at Prince Don Antonio de' Medici's Casino di San Marco laboratory. Here, he may have had the opportunity to interact with characters such as Filippo Talducci (1543- c.1615), celebrated Florentine chemist and mining engineer, several of whose relatives worked at the Casino. In his 1613 manuscript Discorso, Neri strongly hints that he has personally been to more than one mine in connection with his alchemical activities. "I would not say this, had I myself not had the good fortune of being in such a mine from which, with much artifice, was extracted a small quantity of real gold liquor, which was the true golden seed. […] To this day I have never found another mine like it, and therefore suitable for this purpose." Today, we hardly associate glass with the raw materials from which it is composed, just as we hardly ever think of metals in their unrefined state. Antonio Neri was more closely connected to the earth, by virtue of his profession, but also because daily life in the early seventeenth century was filled with such activity; refining raw materials into useful forms had a direct and immediate impact on quality of life. Although glass is now manufactured in highly automated facilities, far away from our daily lives, it is still essentially the same product that Neri made. The next time you come in contact with a piece of glass, to pour a drink or look through a window or read the text on a screen as you are probably doing right now, stop for a minute and think of it as Neri did four centuries ago, as artificial rock. *This post first appeared here on 17 February 2014.